Delivered really quick and on time. Top quality product as always from sport bike shop and agv. 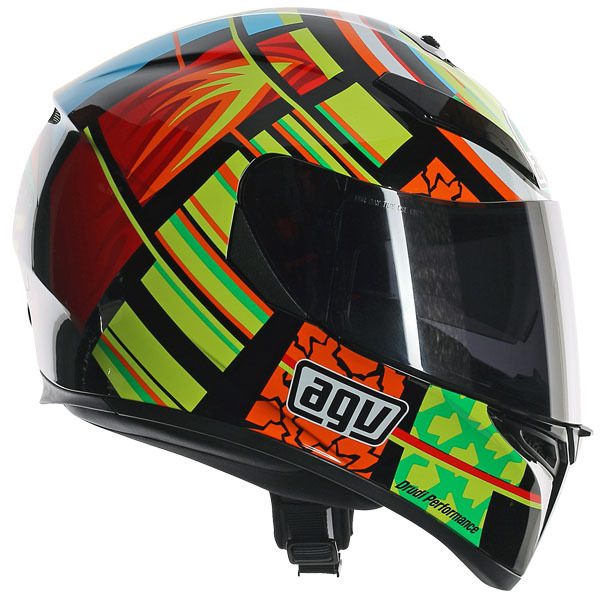 This is my 3rd agv helmet and would not use any other make. Came properly packaged and protected.cannot fault anything at all. Highly recommend shop and product. Will only buy from sportbikeshop going forward Many thanks guys keep up the good work. The helmet IS extremely comfortable. The materials used are obviously high quality. Is soft, not too warm, not to cold, given you use the appropriate vents. The visor is strong and the locking mechanism secure. The helmet is also quiet. Just enough so you can be aware of your surroundings but dampens the sound of wind dramatically. Love the helmet. And on a side note. Every time I'm in the shop The staff are always nice and extremely helpful in helping me choose the right equipment for me. Great helmet, especially like the feature that allows the visor to be open just a crack enough to let in a bit more air but not the bugs! Arrived quickly and well packed. Excellent service. 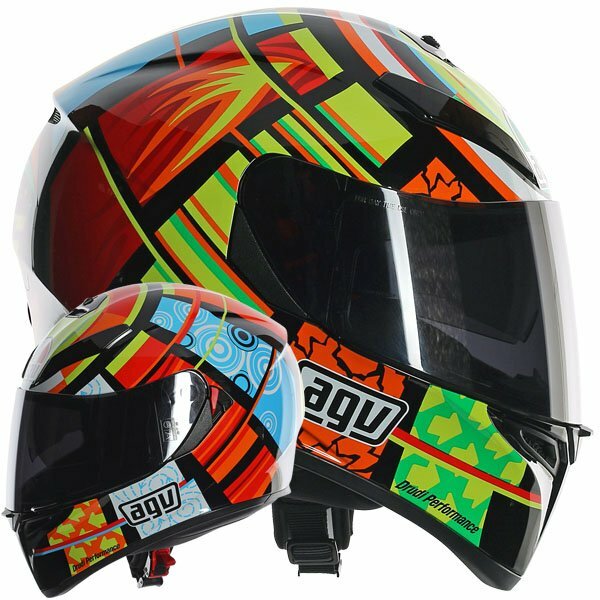 Very comfortable helmet, looks really funky and visible ..... high build quality....arrived very swiftly....and for what you pay its a very reasonable. Great helmet. Came really quick and packed very well. Would highly recommend. Great service and product. The finish and extras offer excellent value for money and the Medium / Large size is a spot on fit. Best helmet I've owned, absolutely worth the money. Bought this helmet on the basis of having good reviews. Had to swap for a 58, was always a 57 but due to technology & design then that was the outcome, fits perfect. The sun visor is a bonus, very good product for the price, smashing people to deal with. 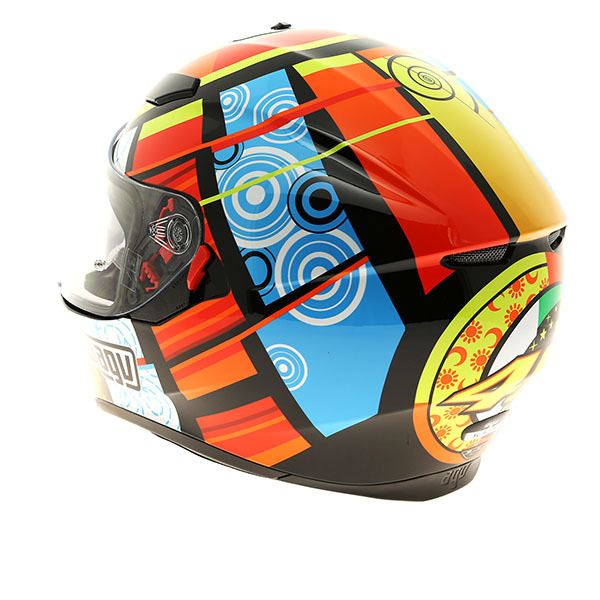 Amazing helmet for the money, colours on this are bright and the helmet stands out from every other helmet, it also comes with a Pinlock ready visor and a Pinlock. It's my first time riding with a Pinlock and I have to say it's amazing, I give this helmet 10/10. I bought this helmet and have been using day to day use, I would like to point out that the helmet has very gentle liner and after early morning shaves it wont irritate your skin. The liner itself is super snug and comfy and the helmet suits city and motorway driving and at around 60-70 mph its quieter than my HJC IS17. 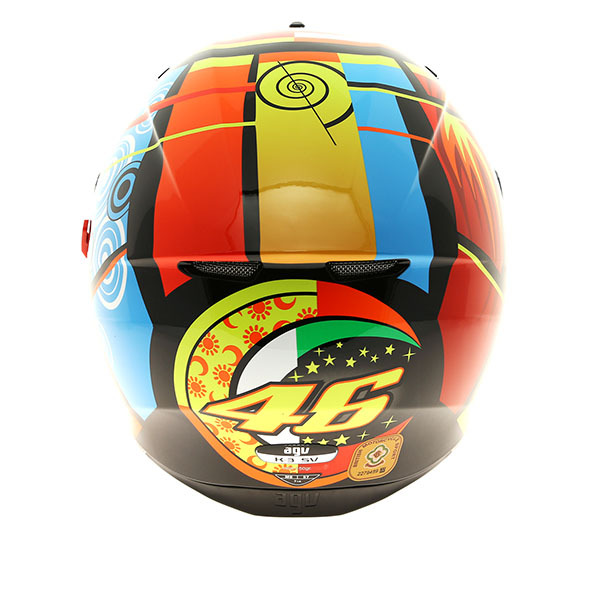 I got the VR46 Five elements graphic and even tho its quite hard to get used to having something that attracts so much attention to your head I do think on the safety side is a plus. Plus if u are in a colour crisis with your gear it fits almost anything with it as it has light blues, orange, red yellow etc. For a shopping on a budget for quality this is a heavy recommendation! 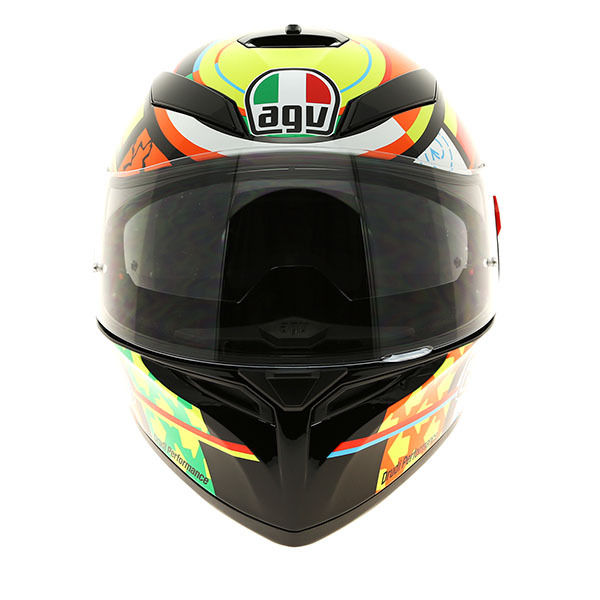 The AGV K-3 SV is the successor to the very popular K3; but now with an internal sun visor! Manufactured in 2 shell sizes throughout the size range, the shell is constructed from a High Resistant Thermoplastic Resin (HIR-TH). The interior pads are made from Dri-Lex and microfibre with a sanitising treatment, both the cheek-pads and interior pad are removable and washable. Front air intakes along with rear exhausts, micro-metric retention system, Share Bluetooth system ready, an optical class 1, non-scratch, anti-fog, polycarbonate visor and internal sun visor make this helmet unbeatable value for money. HIR-TH SHELL CONSTRUCTION - Painted HIR-TH (high resistant thermoplastic) resin outer shell. INTERIORS LINERS - Fully removable and washable Lycra micro-porous breathable lining and Dri-Lex fabric with sanitizing treatment. SPECIALLY TREATED VISOR - Highly scratch resistant polycarbonate visor that is also treated for total protection from the sun's UV rays. The visor also has an anti-fog treatment. XQRS - XQRS (Extra Quick Release System) with metal base plates. Visor can be removed in seconds without the need for tools. INNER SUN VISOR - Integrated internal smoked sun visor with single handed operation achieved by using the lever mounted on the helmet. SHARE COMMUNICATION SYSTEM - Ready for AGV Share communication system. AGV know who the real champions are. 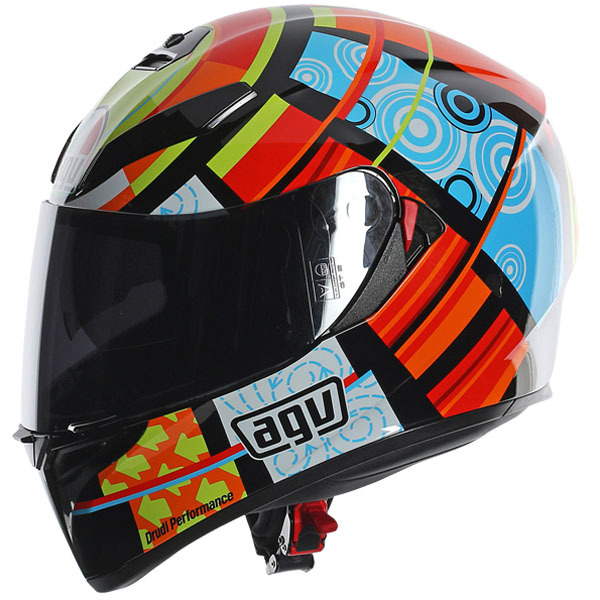 Some of the most important riders of all time have helped AGV to make motorcycle history. From Giacomo Agostini to Angel Nieto, from Barry Sheene to Wayne Rainey up to the present day with Valentino Rossi; a stream of champions that started 60 years ago. 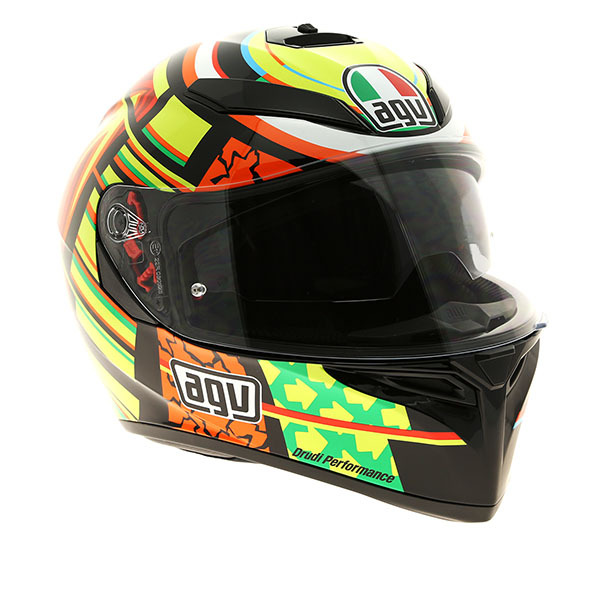 AGV helmets are undoubtedly born out of a passion for racing that is second to none. 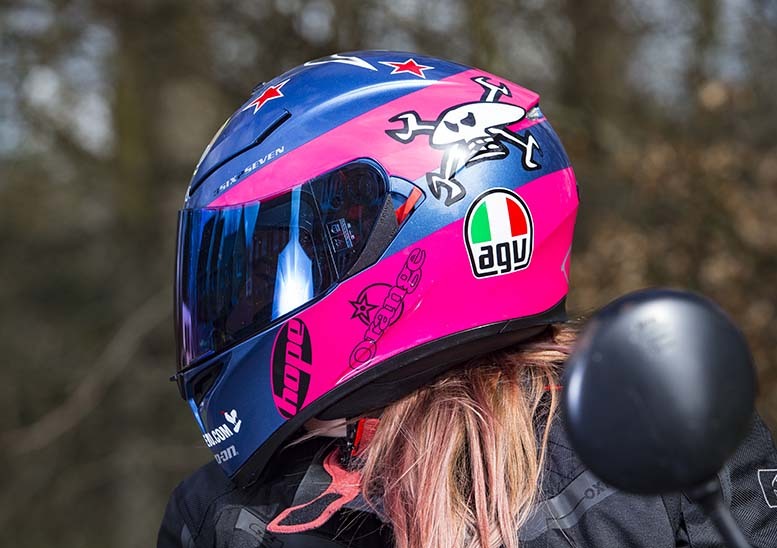 AGV offer a full range of full face, open face, flip front and off road helmets for everyone's biking needs.